who made the silly mistake of sending over much more than what was needed to pay for the last commission! 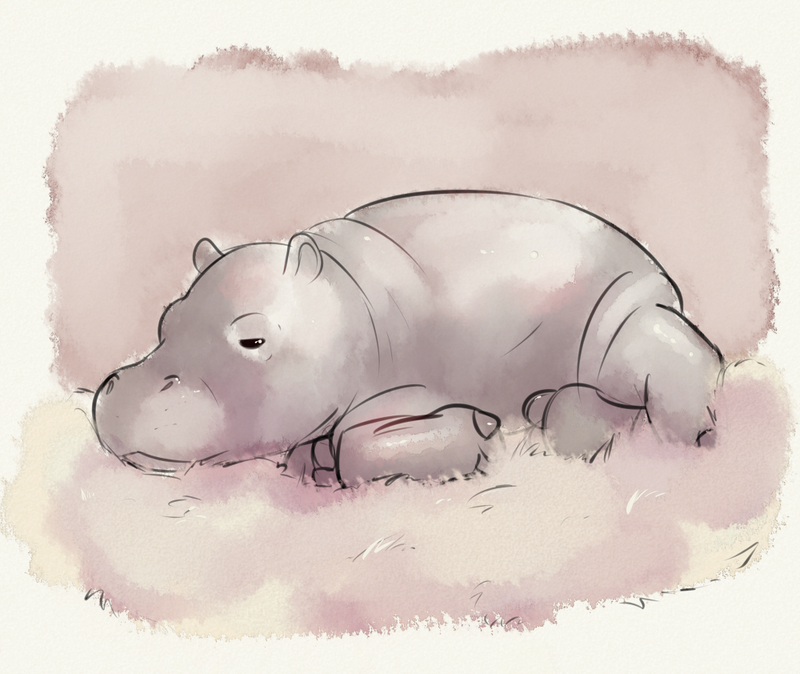 ... it's so.. snug.. he gets shag carpet in his hippo house? eheh it was his request! That is an adorable hippo.